Consider the following: the image of the ninja in Japan and the world is known to everyone. The familiar suit, shuriken, agility and magic but where did the image of the shinobi originate and how did such a staple of Japanese identity make its way into today’s culture? 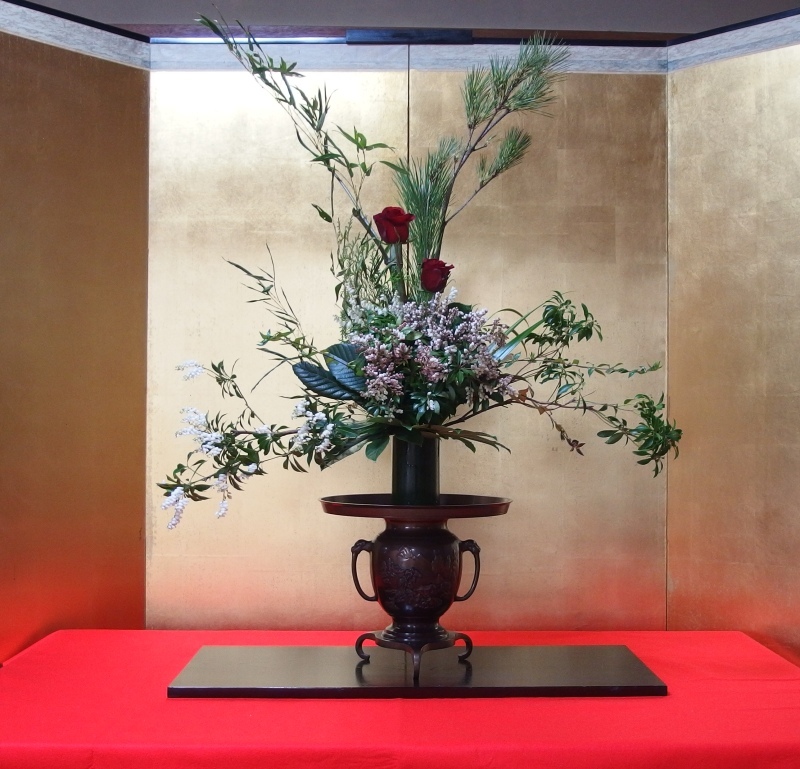 The first serious and modern look at the historical ninja was embarked upon by a writer from the first part of the 20th century called Gingetsu Itō (see the information box below). However, while his work was popular at the time and is still famous in the ninja community, almost the entirety of his primary material was taken from a single source, the Shōninki. 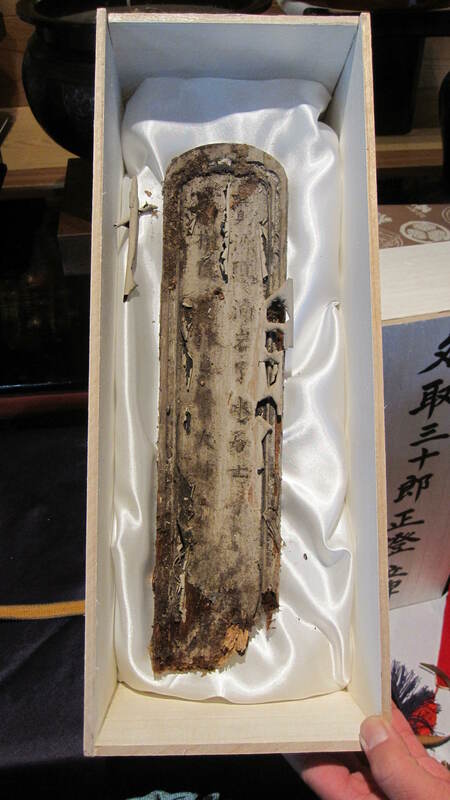 This is of great importance, because while he did quote from Chinese work and does list skills taken from unnamed scrolls, the core foundations laid down for one of Japan’s most iconic historical legacies and therefore the development of the image, owes its dues to the city of Wakayama, the homeland of Natori-Ryū and its now famous shinobi scroll the Shōninki. Itō Gingetsu was an amateur researcher at the start of the 20th century. Over the 20th century the image of the ninja was developed in Japan and subsequently the rest of the world by the study of three major scrolls: Shōninki (1681), later the Bansenshūkai (1676) and also the Shinobi Hiden (1560 but date debated). These three formed the foundation of the ninja image in Japan. However, the issue with the current image of the shinobi is that much of it is incorrect and much information has been misinterpreted from these manuals or draughted in from fantasy and mass media. Therefore, to help you understand how to navigate the very treacherous waters of ninja history, use the following as a short guideline and allow the points to clean your mind of misnomers. The shinobi were not an underclass or outside of the regular class system, they could come from many levels of society. Even someone hired on the spot to do a temporary task could be a shinobi. The shinobi you are thinking of is the professional shinobi, the man retained to do the job. In the earlier part of their history, a professional shinobi was an agent from either the samurai or ashigaru class, furthermore, some shinobi were drafted into the army from among: bandit-samurai, bandits and thieves however, they are always retained by a warlord in some capacity. 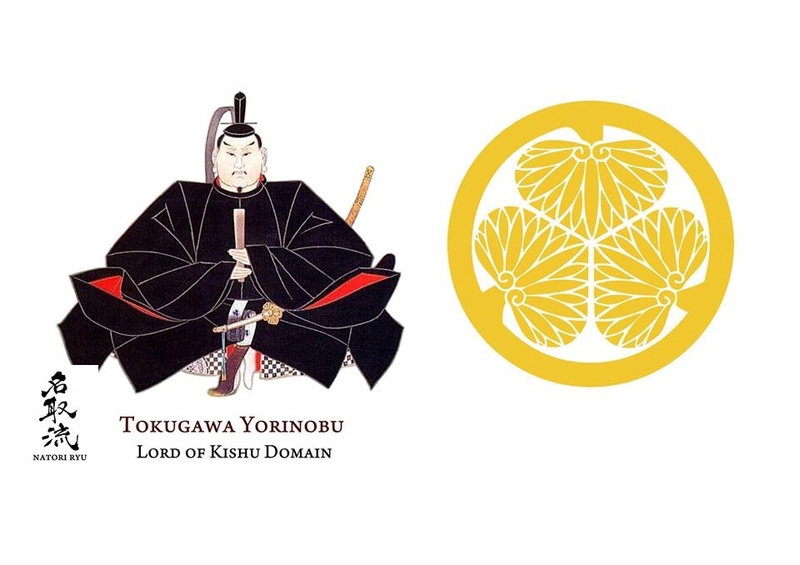 As a part of a warlord’s army, they held either an overt or covert position within a samurai force. The shinobi were an integral and well accepted part of the samurai war engine and the entire force accepted their position within the structure. They were not primarily assassins but they could be called upon to assassinate a target. They did not wear a “ninja suit”. The clothes they wore would depend on the situation, but the “ninja suit” is just traditional Japanese clothes with a mask, an outfit not uncommon in Japanese history, even for people walking in the street. There is no such thing as ninja hand to hand combat, ninpo taijutsu is a modern invention. The shuriken was not a ninja weapon it existed in Japan outside of ninja culture. Shinobi did not attach floating aids to their feet to cross rivers, this is a 20th century mistake. All of the above are modern myths. 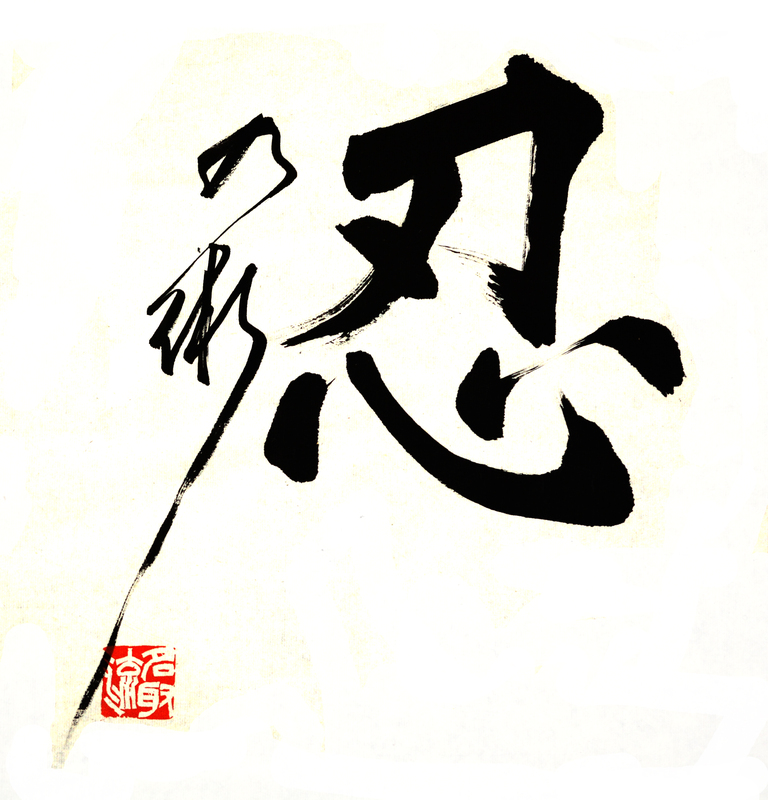 While the ideograms for gungaku are easily understood, they mean military-study, but inevitably the question of “what is gungaku?” arises. 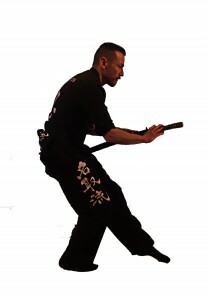 The term heihō is used to represent two ideas in medieval Japanese literature, firstly high level military tactics on the large scale but also it can represent the small scale and refer to physical combat techniques such as, kenjutsu, sōjutsu etc. Gungaku is primarily the former and concentrates on the study of large scale military activities. However gungaku is not so easily categorised. To gain a deeper understanding of its true meaning, gungaku can be seen as a golden web of teachings that holds samurai culture together. For example; how does an army march, how do they cross a river, what horse is suitable to which rider, in what area should the injured be placed, how does a commander utilise the field reports of his scouts, for which tasks should certain personality types be assigned and on which dates should a general go to war. These among 10,000 other aspects are what make up gungaku and the use of shinobi is just one element. Natori-Ryū – the school the Shōninki ninja manual is from – was established in the latter part of the 16th century when the Natori Family served Takeda Shingen. Later, in the second half of the 17th century, the third grandmaster Natori Sanjūrō Masazumi – the chūkō no so (grandmaster of rejuvenation) – fused the school with the teachings of Kusunoki-Ryū, possibly from the line of Kusunoki Fuden through Yui Shōsetsu and developed a much wider curriculum. The erroneous claim that the Shōninki and Natori-Ryū are an offshoot of Iga-Ryū is not substantiated nor is it logical. Natori-Ryū is in fact a gungaku (military strategy) school and is recorded in Kishu province as one of three gungaku schools lecturing to samurai of that domain, Usami Ryū (宇佐美流) Hashizume Ryū (橋爪流) and Natori Ryū (名取流). The curriculum of Natori-Ryū is made up of approximately thirty manuals of various military topics, three of which are a trio of shinobi scrolls that combine to form Natori-Ryū’s shinobi teachings. 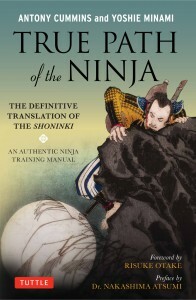 The final instalment of the trio is the Shōninki, and when viewed as a single manual it only makes up a small part of the school’s overall teachings and is not the complete shinobi skill set – in fact Natori-Ryū’s shinobi teachings build as a student progresses through the manuals as small amounts of information is inserted along the way. 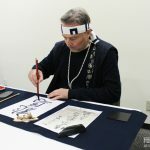 The fact that the Shōninki is only one of the shinobi manuals of Natori-Ryū is vastly important when researching and studying the document because the teachings contained within are based on a student’s understanding of gungaku as a whole. A student of the school needed to have a foundational understanding and ability in shinobi no jutsu, it is only towards the completion of a samurai’s training that the Shōninki was read and integrated with all other existing skill sets – making for a possibly misguided read without this prior knowledge. Remember, the Shōninki is only one part of a vast school that all interlocks and it is only one part in a larger picture. The rule of thumb when researching this lineage is that Natori-Ryū and Shin-Kusunoki-Ryū directly refer to the teachings of Natori Sanjūrō Masazumi while Kusunoki-Ryū can refer to any line of Kusunoki teachings, including Natori-Ryū. One point to keep in mind is that the original Shōninki manual is missing and most research references the transcription by Natori Hyōzaemon (Sanjūrō Masazumi’s grandson) which is currently kept in the National Diet Library under the catalogue number 214-9. Other transcriptions are in private collections and occasionally appear for auction. 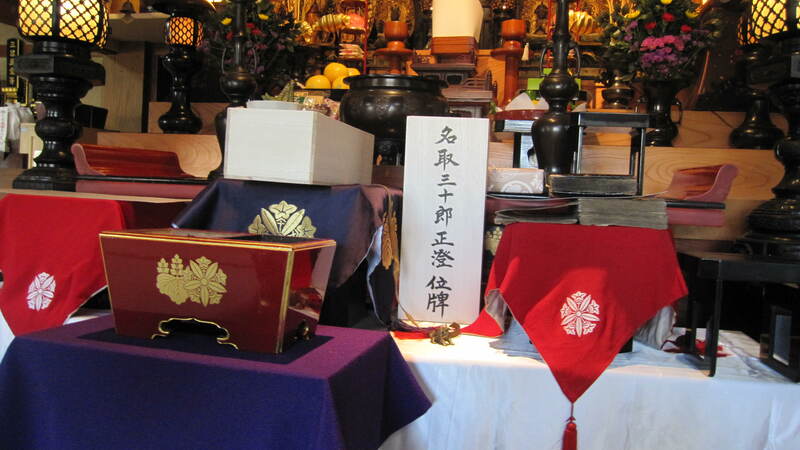 Natori Sanjūrō Masazumi – who is also known as Issui sensei – is interred at Eiunji Temple 3-1-66 Fukiage, Wakayama City, Wakayama prefecture, where his death certificate, death tablet and grave stone are kept under the care of Yamamoto Jyuhō. When in a dark area, especially within foliage and trees, the shapes of the environment can trick a human into seeing the enemy everywhere. At night, in the dark you may see an enemy in every bush or in fence posts and your mind will automatically try to find human shapes because you are concentrating on knowing where the enemy are. The Shōninki teaches that a shinobi should focus his mind away from this and crouch down, looking at objects by trying to silhouette them against the sky, which is always lighter than the ground. Also, fence posts will be of an even height, whereas a troop of the enemy will be of different heights and will not be in the same position. When in doubt, just wait – keep waiting – if it is a real human in the dark, he will move and you will know. After a lengthy wait the shape has not moved, the shinobi knows it is not an enemy. The shinobi must endure his own impatience. Those who are openly hired as shinobi and perform various duties in a castle, in a battle camp or when marching with the army. Such as scouting, defence, infiltration and information gathering. Those who are employed in secret to act covertly in enemy territory, who wander outside of the lord’s domain collecting information or acting on his behalf to fulfil the lord’s aims. These people normally have fiefs at home but wander the countryside in disguise. Those who set themselves up in a long-term position within the enemy and who take on an identity within the enemy to gain trust and to act as sleeper agents to be activated when required. Before a military campaign, a lord would send shinobi to a possible enemy so that when war is declared they are already on the inside. Inside of these subdivisions there are myriad and an extremely diverse amount of skills and duties that the shinobi undertake and fulfil, meaning that a single identifiable image of the shinobi is impossible. Therefore, it is best to change your view of the shinobi at a base level and by altering your understanding in this way, you can grow an image instead of building it. Like each tree is different from another, each shinobi blooms into their specific field. 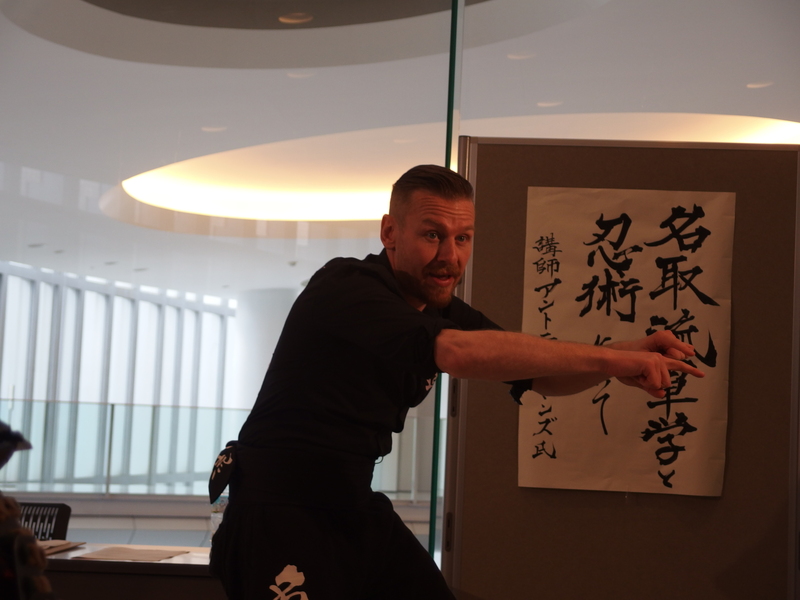 Natori Masazumi tells us that “ninpō is like a void and has no shape” and that it is ever changing, and thus we hit upon the single point of understanding the ninja. That single point and an extremely important one is that the essence of shinobi no jutsu at its very core is the intent to deceive the enemy. It is an essential paradigm shift to start at this point and then develop a correct image of the ninja. Therefore, simply understand that a shinobi is a retainer to a lord who has been given the task of deceiving the enemy so that the lord can defeat them in battle. 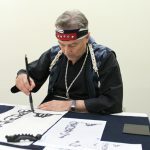 When the media image of the ninja has been truly disposed of, we are often left with the question, “what did historical ninja actually do?” and the answer often leaves us with confusion or a vague understanding. The problem lies with the fact that when people try to build their understanding of historical shinobi no jutsu they do so only from the shinobi manuals themselves, creating an isolated image of a warrior outside of the system. To combat this, anchor in your mind in the fact that shinobi no jutsu is an auxiliary art that is attached to gungaku, it being a very special skill set that is additional to a warrior’s already capable array of abilities. Remember shinobi no jutsu is only for those warriors accepted into the art by a teacher or family member. Thus, a warrior would know his family martial arts, he would know how to go to war as a retainer, but in addition and no matter at what age or social position, if he was good enough, he would learn the ways of the shinobi. The argument trick: two shinobi cause an argument and fight outside the gate of the target’s house. When the target comes out to discover what the commotion is about, one of the shinobi will leave the situation. The remaining shinobi tries to take shelter in the target house, looking distressed and possibly injured. Later, the shinobi that retreated knocks on the door to carry on the argument or to enquire about the situation. At this point, and if possible the shinobi who is in the house as a guest makes as many observations as they can about the internal layout and locks and if left alone they may unlock windows. When the whole situation is resolved, both shinobi leave and the target retires to bed at which point the shinobi team up and infiltrate. Consider that while the arts of the shinobi are extremely secret and specialised the skills are not practiced by the shinobi alone. Both the Shōninki and the Bansenshūkai claim that the skills of the shinobi are identical to those of the nusubito thief – the only difference being the intent in which the same skills are used. A thief performs such skills to benefit themselves, a shinobi performs them to benefit their lord. Remember that the shinobi already have an understanding of; unarmed combat, the sword, the spear, horse riding and manoeuvres, scouting, military swimming, military formations and tactics etc. In addition they study the skills of the spy and the ways of the nusubito, which when structured together form a specialised agent, ready to enter into a war of deception with the enemy of his lord. Finally, consider the shinobi to have skill sets for war and skill sets for times of peace, both of which are often mixed in shinobi manuals, meaning that they can gather intelligence for a war effort or they can gather intelligence on the population in their lord’s domain. 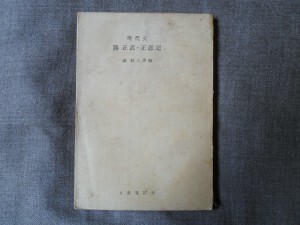 While it was previously stated that the Shōninki needs to be read in context with the other Natori-Ryū manuals it should be understood that it is still an outstanding and rare look inside of the world of the shinobi and the study and comprehension of the manual should be high on the agenda of anyone who is interested samurai ways. 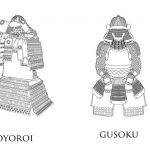 The Shōninki is divided into four sections; jo, sho, chū and ge, of which gekan is an outstanding display of the depth of both Japanese warriors and the subtleties of shinobi no jutsu. The subtleties and differences of Sun Tsu’s five types of spy. 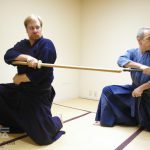 How to build an understanding of the enemy’s internal situation by knowing the art of togiki – listening to external conversations and constructing an understanding of their situation through snippets of discussion. To have a sophisticated and complete understanding of the concept of kyojitsu (truth-false), how the enemy utilise kyojitsu and how as a shinobi, you can bypass the external lies to discover the truth. Also, how to befriend an enemy, take them on a drinking spree, to lie about your background and draw from them information while maintaining a false identity. You would study how to survive in the wilderness, to create shelters and how to find and hide in the dark places of the land. To use disguises and to mimic other people’s crafts, knowing everything about the profession that you are impersonating so as not to be detected. The use of climbing tools and methods to scale castle walls, how to cross moats and to infiltrate houses and military compounds. To understand the skill of arson and also the arts of using fire in a military context. How to blend in to a crowd, to change your hairline, body shape, face profile and skin colour. 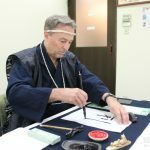 For some members of the dōjō who are gifted with good language abilities, they would study the concept of dakkō – to know the dialects and customs of the different provinces of Japan. To shadow and follow people without being seen, both in open disguise and in stealth. You would study topography, and know how to discover ambushes, how to travel through mountains and along pathways in snowstorms and maintain yourself for extended periods in enemy lands and return to your lord with the correct information on where he can position his troops or make report on the enemy financial situation and probable military capabilities. Also, to leave secret marks for allied agents who will come after you or to study how to track a light at night and to see which direction troops are heading, to view the skyline from a low position to see the silhouette of the enemy, to taste roads for their salt content (most likely from human sweat and animal urine) and to know if a black shape ahead of you is a bush, fence, post or an enemy in wait. 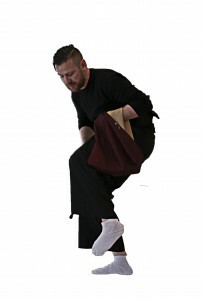 At one point the students of the dōjō would move to the sides and the instructor would go through the specific stepping methods, showing which ones are used in stealth and which steps should be adopted to disguise your intentions as people listen to your steps in the night. You would be instructed on how to gain entry to a target house though manipulating the inherent kindness of humans, how to estimate the numbers of a village or the dimensions of a forbidden area. When in open disguise you would know how much and who to bribe, as different people respond differently, you would know how to manipulate the clergy to extract deep information and discover the correct places to eavesdrop in each area. The teacher would explain to you the correct times to infiltrate an enemy battle camp or even a house, how to avoid areas where birds nest or how to submerge yourself in water below the shadow of overhanging trees. To infiltrate you would have to know how to copy the bark of a dog to hide any sounds you make, how to get on to a roof in stealth and even use ancient traditions to know if the target is sleeping – this you may have to do in teams. On a larger scale you would have to study Tendō and Chidō, to understand meteorology and, to predict sunrise and sunset and also moonrise and moonset, to be able to map the stars and the 28 lunar mansions. Skills may then move to the more esoteric, showing magical rituals to create discord between people, which days are lucky and which days are unlucky or how to use charms of protection. From the esoteric you will move onto the higher skills, such as the complex and detailed art of physiognomy and also palm reading. The use of misdirection and to create diversions to escape, to know the traits of human beings and how they can be manipulated and how to take them into account when operating as an agent. If a student is intelligent enough, they would study the art of conversation, to know how to correctly flatter a person without rousing suspicion, how to bring out a specific topic in the enemy’s conversation without mentioning it. As a shinobi you even need to know how to purposefully start an argument to allow the enemy to prove you wrong so that vital information can be taken from their need to correct you and to feel superior. Also, to observe speech, body movement and mannerisms, to gauge the enemy and also to endure vast amounts of background research and planning before you even enter into conversation. These are the skills of the Shōninki and more. However, upon reading the Shōninki, the reader may find that the subjects listed above are there but some details are missing. 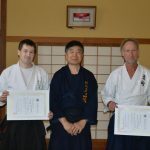 This is because the details for many of the subjects referenced in the manual are taught to a student’s beforehand through the rest of Natori-Ryū’s teachings. The Shōninki should be seen as a conversation between master and student based on a student’s knowledge but it is a conversation that brings all such previous knowledge together under the intent to deceive the enemy in what we know as shinobi no jutsu. 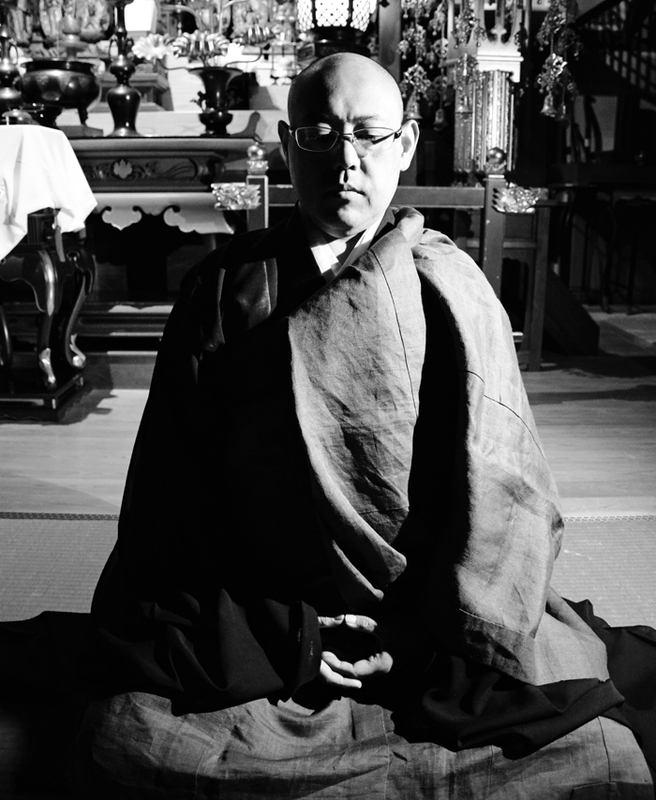 Finally, if the student was truly outstanding they could move onto the final part of the scroll, the short in length but deep in content – gekan. 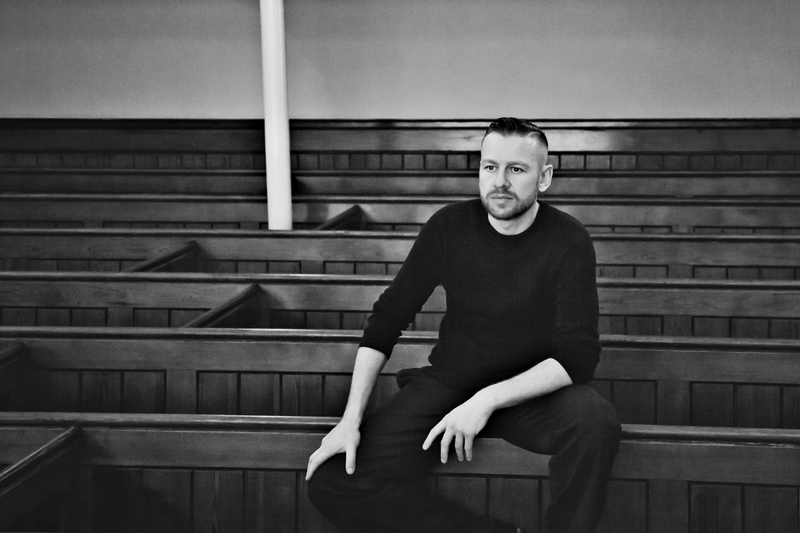 Disconnect with the enemy in conversation. This is considered a difficult skill and a risky one for the inexperienced. When in conversation with the target a shinobi will consider how egotistical they are and if the target is prideful and if they focus on their own intellect or not. 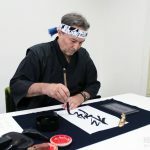 If it is the case then it is possible to disconnect from the enemy by making statements that the shinobi knows are wrong and also to try to make the target their opponent in the conversation – creating an argument. This will lead the target wanting to win over his opponent which will in turn make him state the correct facts and prove that he is intellectually superior. This means the target will unknowingly give out the information the shinobi wants, just so they can win the argument. While the Bansenshūkai manual has more detail and the shinobi writings of Chikamatsu Shigenori give a much clearer outline, the Shōninki gekan is without doubt one of the most sophisticated and enchanting pieces of shinobi literature left to us by history. Short in words and length but filled with a deep richness it is supported by myriad concepts, pre-shōninki teachings and the intellectual world of the Japanese samurai. It is a tour of the mental capabilities of the human, an expression of the levels a mind can achieve and a delightful journey into the realm of the historical shinobi. The foundations of gekan can be said to lie on the concept of mumon no ikkan and while this term is loaded with cultural connotations, in the world of the shinobi this is the barrier between a truth that a human thinks and the outward projection they show the world. It is the task of the student to pass through this barrier to discover the truth of a matter inside the mind of another, an assignment which is made more difficult if the enemy is a shinobi, trained in the arts of lying. A student of shinobi no jutsu has to use all of his resources; background information on the enemy target, local customs, financial statistics, body language, lie detecting and focused observation so that they move through the mist of kyojitsu and bypass mumon no ikkan – the gateless gate, allowing them to exist as an entity inside the mind of the enemy, to predict their future actions and have the truth revealed bare to them. All of which should be done in the manner of a ghost, so that the enemy is unaware. Such things are done by: self-comparison, an examination of the seven emotions, a movement between instructional learning and the ability of rapid analysis, providing stimuli to provoke the enemy and create gaps and an understanding of the connection and use of the different types of emotion and how they flow through the human brain. The concepts found in gekan splinter off it to almost endless avenues of study, from shinmyōken, to the five phases of the mind and from muga no mushin to tobutori no kurai. With the end of gekan, Natori Masazumi tells us that a true master of the shinobi arts does not have a single enemy in the world. This is because the shinobi, through the Shōninki rises above other humans and does not fall into their ways and does not allow himself to become entangled in the forest of human emotions. 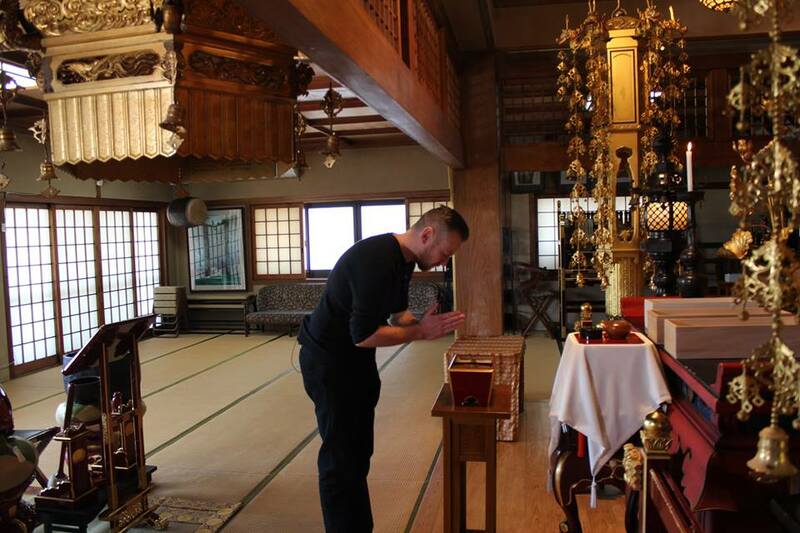 It is sad to say but the historical shinobi have been discarded in Japan and over-manipulated in the west. Japan has abandoned them to the realm of non-history and the west of took them to a place of extreme fantasy. It is true that a hand full of people around the world know the truth of the historical shinobi but it is evident that most people in the world hold a bizarre mix of fantasy and media distortion as a truth, something I feel deeply about. My primary aim in life is to correct any misunderstandings the world has about Japanese warrior culture, for myself included. Thus, not only is the Shōninki a hidden treasure of Japanese shinobi culture but it is also a framework for understanding one of history’s most famous players. 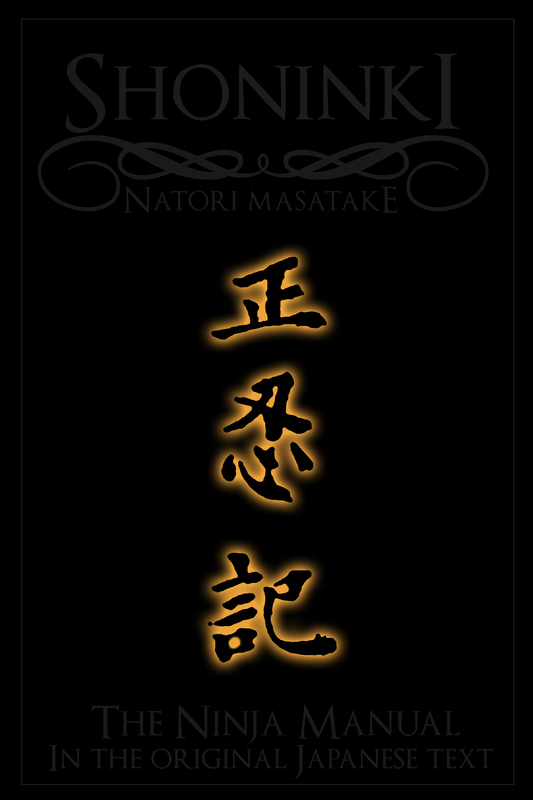 A full revival of Natori-Ryū with the blessing of the original Natori family is in full swing in the west but I would like to take this opportunity to invite the worldwide martial arts community to get involved with the project. 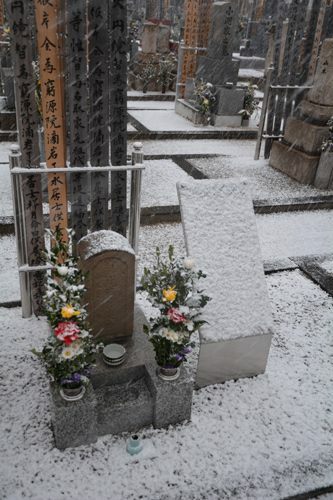 The starting point for any person interested is of course to read the Shōninki, for those who wish to visit the grave of Natori Sanjūrō Masazumi they can pay their respects at Eiunji Temple. 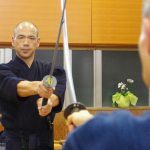 Yamamoto Jyuhō runs the Shōninki Reading Group and welcomes all who wish to visit and discuss Natori Ryū and ninjutsu. 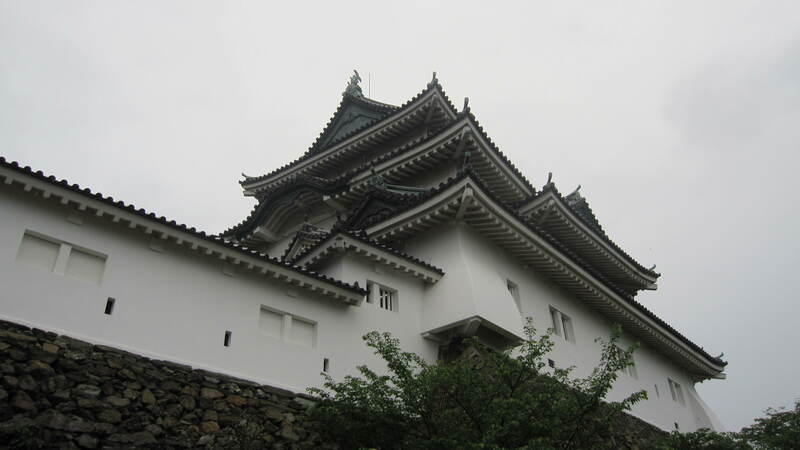 Therefore, why not spend some time in Wakayama visiting the sites and truly get to grips with the history of the shinobi. 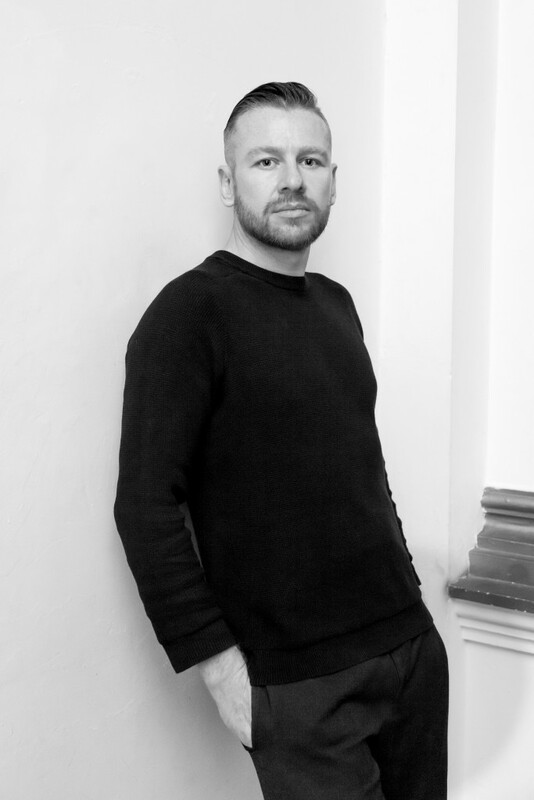 For more information visit Antony Cummins’ website www.natori.co.uk.